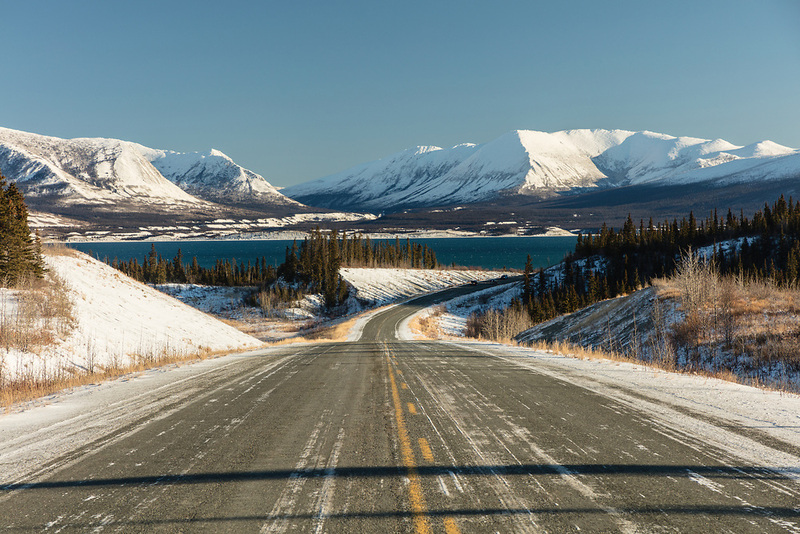 The Alaska Highway winds past Kluane Lake and Ruby Range mountains in the Yukon Territory. Winter. Afternoon.